Published by Dennis Dobson Limited, 80 Kensington Church Street, London First edition 1963. 1963. First edition hard back binding in publisher's original scarlet paper covered boards, gilt lettering to the spine. 8vo 8½'' x 5¼'' 90 pp. Illustrated. Light foxing to the closed page edges. Fine condition book in near Fine condition dust wrapper with shallow age tanned rubs to the spine tips, not price clipped. Dust wrapper supplied in archive acetate film protection, this is not adhered to the book or to the dust wrapper and can easily be removed should you so wish. 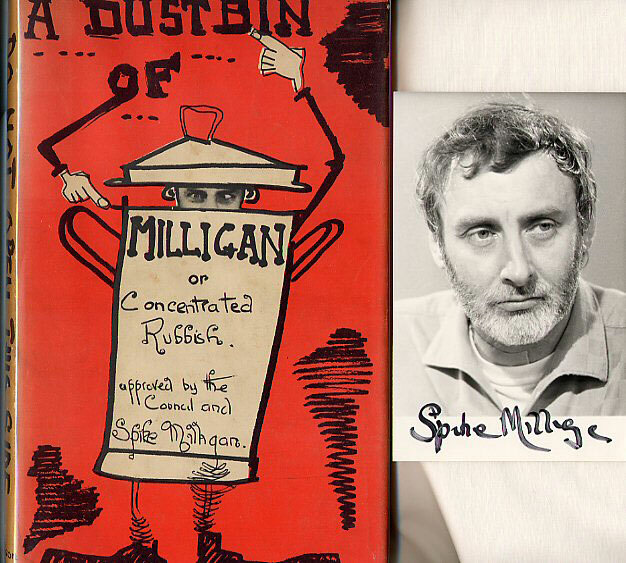 Accompanied by 5½'' x 3½'' SIGNED by the author monochrome photograph of Spike Milligan loosely enclosed. Member of the P.B.F.A. 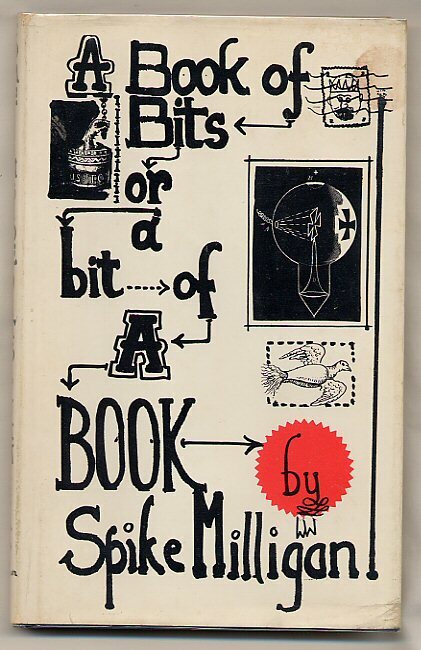 Published by Dennis Dobson Limited, 80 Kensington Church Street, London First edition 1965. 1965. First edition hard back binding in publisher's original navy cloth covers, gilt lettering to the spine. 8vo 8½'' x 5¼'' 90 pp. 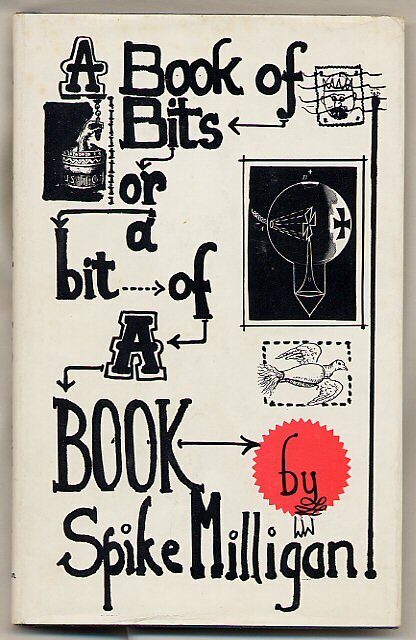 'Milliganesque' style message to the front end paper, 'From two small bits to two Big Bits, Happy Christmas 1965', also accompanied by a 5½'' x 3½'' SIGNED by the author monochrome photograph of Spike Milligan loosely enclosed. Member of the P.B.F.A. 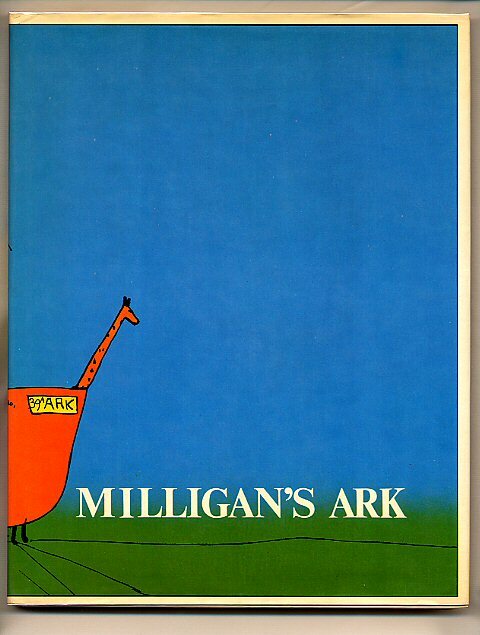 Published by Margaret & Jack Hobbs, Bridge Street, Walton-on-Thames First edition 1971. 1971. First edition hard back binding in publisher's original pictorial glazed boards. Quarto 10½'' x 8¼'' 112 pp. Illustrated throughout. Fine condition book in very near Fine condition price clipped dust wrapper. Dust wrapper supplied in archive acetate film protection, this is not adhered to the book or to the dust wrapper and can easily be removed should you so wish. Member of the P.B.F.A. Published by Dennis Dobson Limited, 80 Kensington Church Street, London First Edition 1961. 1961. First edition hard back khaki cloth covers, red titles to spine. 118 pp. Illustrations by the author. Book in Fine condition. Red background colour to spine of dust wrapper has faded, no tears or chips to dust wrapper which is in Very Good condition and not price clipped. 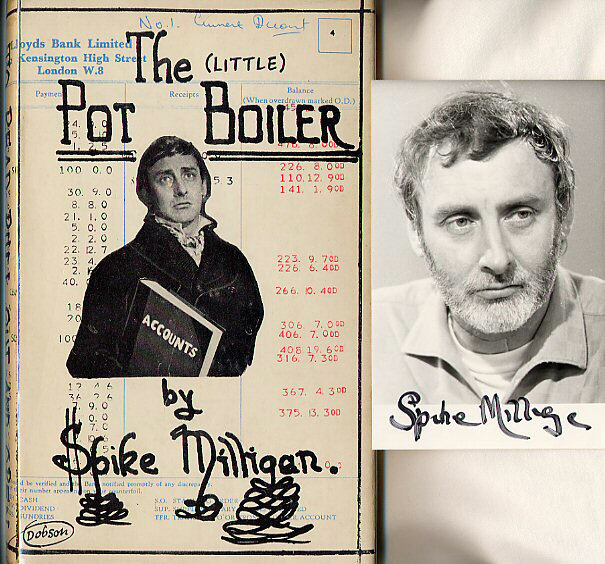 Accompanied by 5½'' x 3½'' SIGNED monochrome photograph of Spike Milligan loosely enclosed. Member of the P.B.F.A. First edition hard back duplicate glossy pictorial covers 8" x 10" 112 pp. Light foxing to front end paper. Nr. Fine condition book. Dust wrapper without any chips, tears or rubs, price clipped and in Nr. Fine condition. Dust wrapper protected. Member of the P.B.F.A. 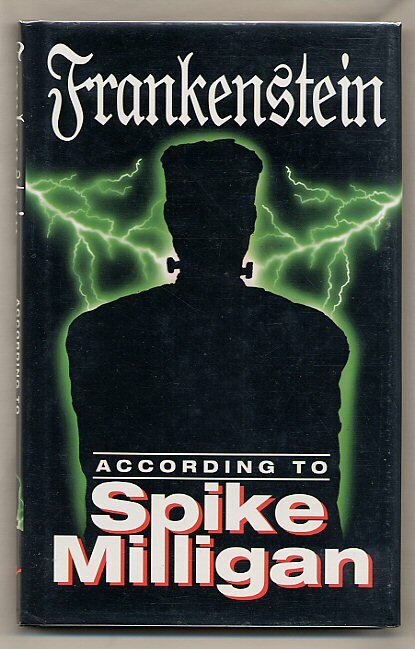 Published by Virgin, London First edition 1999. 1999. First edition hard back bound in publisher's original vivid blue covers, silver stamping to spine. 8vo 90 pp. Fine in Fine dust wrapper, not price clipped. Dust wrapper protected. Member of the P.B.F.A. 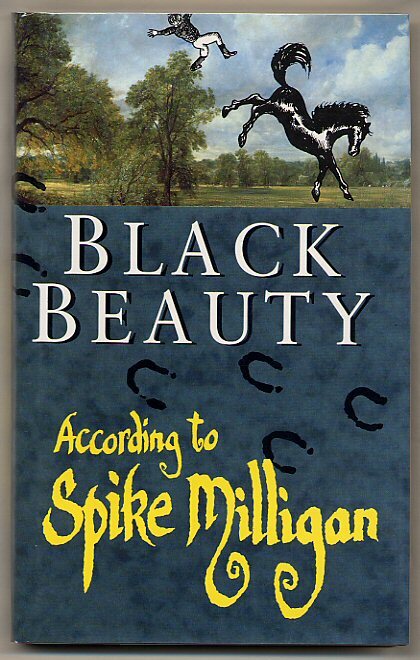 Published by Michael Joseph Ltd., 26 Bloomsbury Street, London First edition 1988. 1988. First edition hard back publisher's original blue paper covered boards, silver stamping to spine. 8vo 8¾" x 5¾" 205 pp. SIGNED presentation copy by both authors to title page. Fine in Fine dust wrapper, not price clipped. As new. Dust wrapper protected. Member of the P.B.F.A. 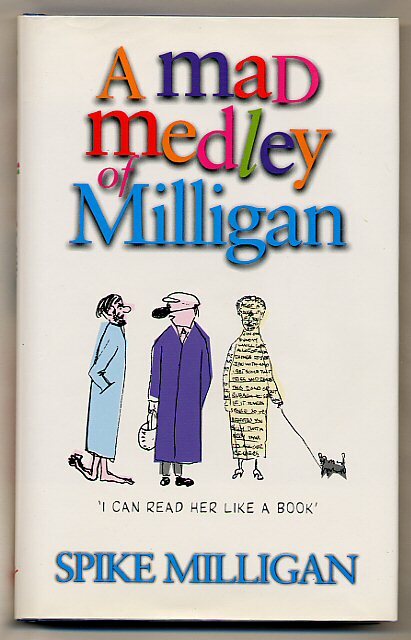 Published by Michael Joseph Ltd., 26 Bloomsbury Street, London First Edition 1994. 1994. First edition hard back publisher's original green paper covered boards, gilt stamping to spine. 8vo 8¾" x 5½" 164 pp. Fine in Fine dust wrapper, not price clipped. Dust wrapper protected. Member of the P.B.F.A. 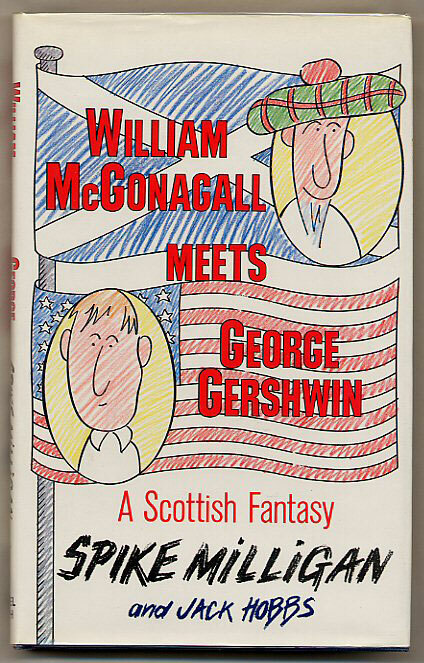 Published by Virgin Publishing Ltd, Thames Wharf Studios, Rainville Road, London First Edition 2000. London 2000. Published by Virgin Publishing Ltd, 332 Ladbroke Grove, London First Edition 1996. 1996. First edition hard back publisher's original black paper covered boards, silver stamping to spine. 8vo 8¾" x 5½" 139 pp. SIGNED by the author to title page. Fine in Fine dust wrapper, not price clipped. As new. Dust wrapper protected. Member of the P.B.F.A. Published by Virgin Publishing Ltd, 332 Ladbroke Grove, London First edition 1997. 1997. First edition hard back publisher's original black paper covered boards, silver stamping to spine. 8vo 8¾" x 5½" 127 pp. SIGNED by the author to title page. Fine in Fine dust wrapper, not price clipped. As new. Dust wrapper protected. Member of the P.B.F.A. 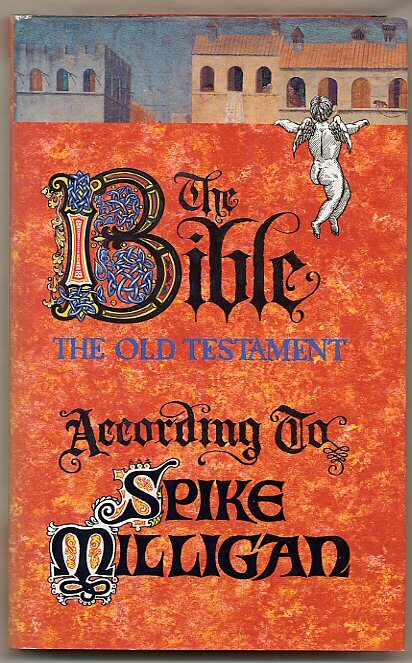 Published by Virgin Publishing Ltd, Thames Wharf Studios, Rainville Road, London First Edition 1998. London 1998. First edition hard back binding in publisher's original black paper covered boards, silver title and author lettering to the spine. 8vo. 9'' x 5½''. Contains 139 printed pages of text. Fine condition book in Fine condition dust wrapper, not price clipped. 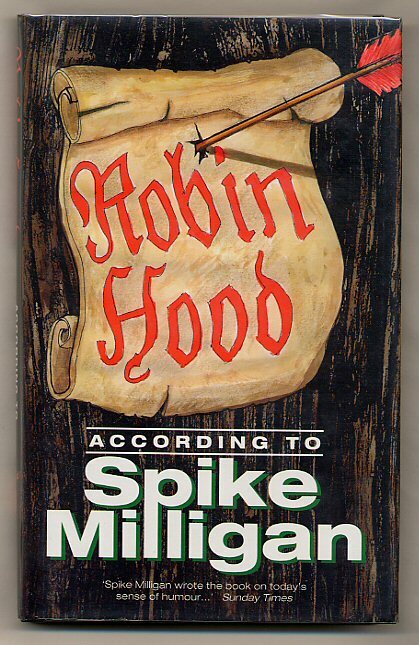 SIGNED by the author to the title page 'Spike Milligan'. Dust wrapper supplied in archive acetate film protection, this preserves and prolongs the life of the paper, it is not adhered to the book or to the dust wrapper. We currently hold in stock over 200 other titles by this author. Member of the P.B.F.A. 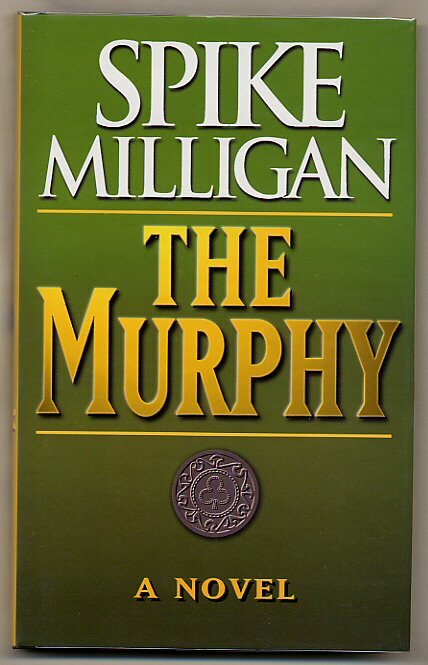 Published by Michael Joseph Ltd., 27 Wrights Lane, London First Edition 1993. London 1993. First edition hard back publisher's original black paper covered boards, gilt stamping to spine. 8vo 8¾" x 5½" 186 pp. Fine in Fine price clipped dust wrapper. Dust wrapper protected. Member of the P.B.F.A. First edition hard back publisher's original navy paper covered boards, gilt stamping to spine. 8vo 8½" x 5½" 89 pp. SIGNED message by Eric Sykes. Fine in Fine price clipped dust wrapper, white spine not faded. Dust wrapper protected. Member of the P.B.F.A. 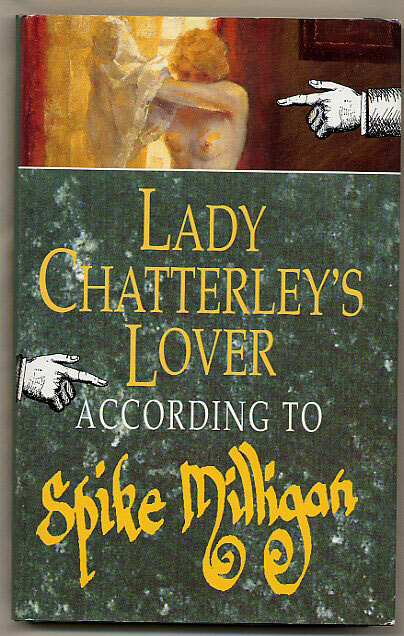 Published by Michael Joseph Ltd., 52 Bedford Square, London First Edition 1976. 1976. First edition hard back publisher's original black paper covered boards, gilt stamping to spine. 8vo 8¾" x 5½" 128 pp. 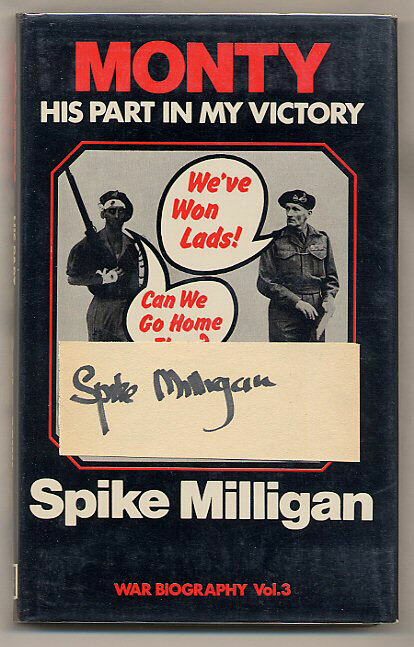 SIGNED by the author 'Spike Milligan' ivory paper laid in, the reverse of which states 'I dedicate this book to Norma Farnes, my manager, who puts up with me.' Fine in Fine price clipped dust wrapper. Dust wrapper protected. Member of the P.B.F.A.